SpinCazino features the top UK casino sites around, bringing you news, reviews and details of the latest bonuses and promotions available from them. From established casinos to those just starting out, you can find out the best places on the internet to spin the reels of your favourite slots or take on the dealer in an intense table game. Which games can you play at the casino, and which of the major providers is it lacking? Is there a good selection of slots, how many table games are there and is there a live casino too? Do the games work smoothly, or are there issues with loading times? All of these areas are investigated. Also find out whether casinos are still using lumbering download software to power their games or if they’ve joined the 21st century with titles that launch directly in your browser. The reviewers check that the casino is fully licensed and that there are no outstanding major complaints about unfair practice or legal issues with the site. Find out whether the welcome bonus is all that the site promises it will be. SpinCazino checks out the finer details of the terms and conditions to make sure there are no nasty surprises. Find out how much you will receive and how much you will have to wager to withdraw your cash. 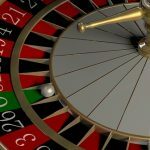 In addition, you can read about the promotions each of the UK Casino sites offers to its existing players to keep them spinning the reels at their site. All the information about what they offer in terms of races, free spins and more can be found in each review. When it comes to spending your money, you need to know that you can easily fund your account and take out your winnings. Some sites take longer than others to pay out, and those details are given in each casino review. You can also find out which payment methods each casino accepts, whether it is bank transfer, Visa, Mastercard, Paypal, Skrill, Neteller, or one of the other may credit cards or e-wallets. Things go wrong on occasions and that is true of any casino. However, it is the way that a casino responds to these issues that proves its class. The SpinCazino reviewers will test out each casino’s customer services department to test for speed, accuracy and friendliness amongst other criteria. 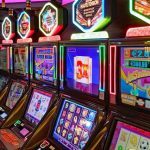 Why Play at UK Casino Sites? UK casino sites have to conform to some of the strictest gambling regulations around, meaning that you can always be sure that a site licensed in this country will treat you fairly, pay out your prizes promptly and handle your personal details and deposits in a safe and secure fashion. The UK Gambling Commission oversees the operations of UK-based casinos as well as those situated in locations such as Gibraltar, Malta and the Isle of Man. Britain boasts the largest online casino market anywhere in the world. The Gambling Commission ensures casinos serve their customers fairly, but also that they protect children and vulnerable people from potential damage. They also ensure operators conform to anti-money laundering guidelines. When playing at UK casino sites, you can be sure you are dealing with a legitimate and socially responsible organisation. Which Games Do UK Casino Sites Offer? UK casino sites offer a range of fantastic games to keep you entertained any time you fancy a wager. The premium games providers that feature on these sites are at the head of the game when it comes to the animations, graphics and gameplay that make their games such immersive experiences. The lobby of each casino is filled with titles boasting novel bonus rounds, new takes on the traditional reel set-up and tie-ins with well-known brands such as Guns n’ Roses, Batman, The Avengers and more. No two slots games are the same, and the sheer range of those on offer at casino sites based in the UK means there is always something new to discover and to match whatever mood you find yourself in. Find out how to play slots games at the dedicated page. You can also bring the glitzy atmosphere of the bricks and mortar casino to your home, or wherever it is you play casino games. Take on the dealer at blackjack, whether it is a virtual table or a live casino game with a real-life adversary. You can also indulge yourself with any manner of versions of roulette, baccarat, pai gow, three card poker and all the other card games offered at online casinos. See the individual casino reviews to find out about the selection of games on each site featured on SpinCazino. There are a number of names that currently rule the roost when it comes to games developers. Swedish firm NetEnt makes beautiful mobile-first games with carefully crafted cartoonish graphics. Playtech has licensing deals with big-name movie and comic book companies, such as Warner Bros and DC. Microgaming has been creating high-concept games since it launched what it claims was the world’s first online casino in 1994. To find out more about the companies behind the slots and casino titles you love the most, take a look at the Games Developers page. Any UK casino site worth its salt has a user-friendly and fully functioning mobile casino site. As many of the games developers look at creating content that primarily looks spectacular on smartphones and tablets, online casinos must reflect this. The majority of players who visit online casinos do so on a device other than a desktop computer, so there is no excuse for shoddy gameplay, a poor selection of games or menus and lobbies that are not responsive. As a matter of course when reviewing sites for SpinCazino, writers play on both desktop and mobile devices. In addition, they use all the features of the casino to make sure everything is accessible to every person that wants to play at that site, however they choose to do so.